Allen and Heath Xone: 22 Professional 2 channel DJ mixer DJParts - All Variety of Parts that DJ Needs. 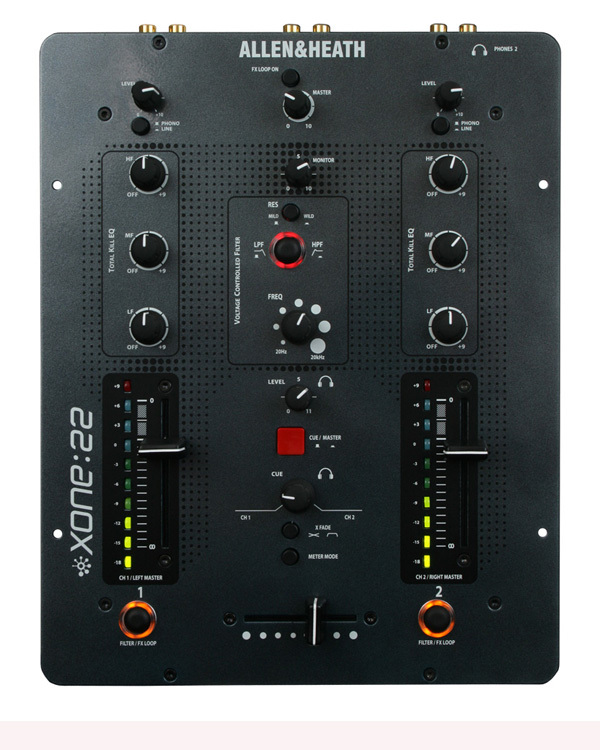 We’re proud to present the Xone:22 a 2-channel, analogue DJ mixer which offers the top quality audio and professional feature set usually only found in the booth of a top-rated club, all at an stunningly affordable price. We’ve raised the bar on entry-level mixer design with the Xone:22. 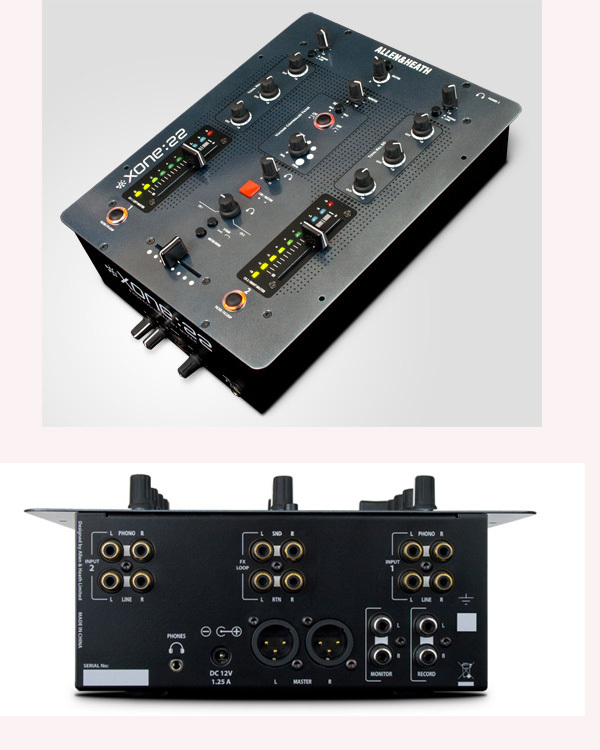 It’s equipped with our characteristic sound and build quality, and it’s the first time a DJ mixer at this level has incorporated professional grade features, such as a full cut isolator/EQ, accurate metering, high quality faders and pro-standard audio headroom. We’ve incorporated a “lite” version of Xone’s now legendary VCF filter system – a truly professional feature never offered at this level before.